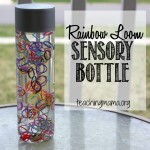 If you’ve been following my blog the last year, you’ll know that I’ve been sharing a sensory bottle idea every month since last October! 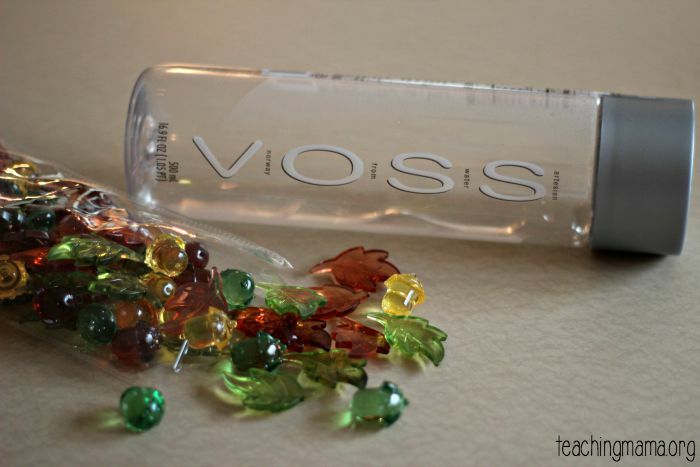 Today, I’m sharing the last sensory bottle of my year-long challenge. 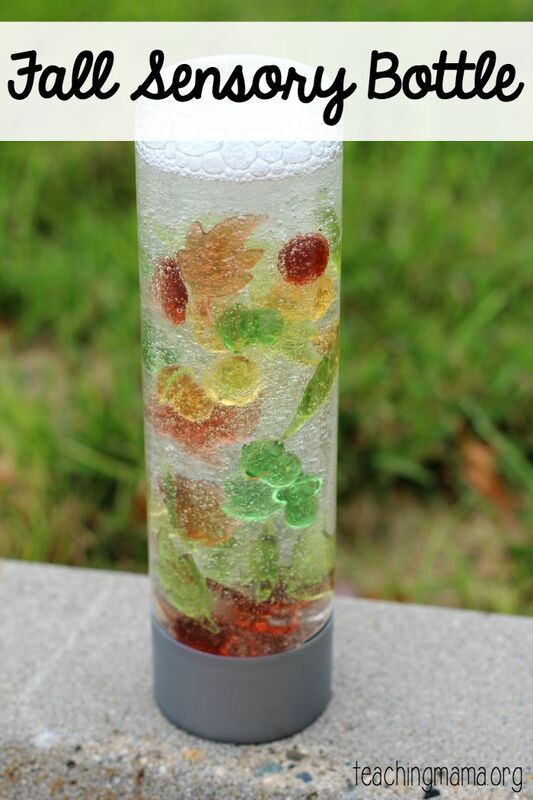 It’s a fall sensory bottle filled with acrylic leaves and acorns. 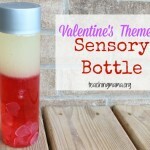 I love this simple sensory bottle, because it only uses a few ingredients and my baby loved it! 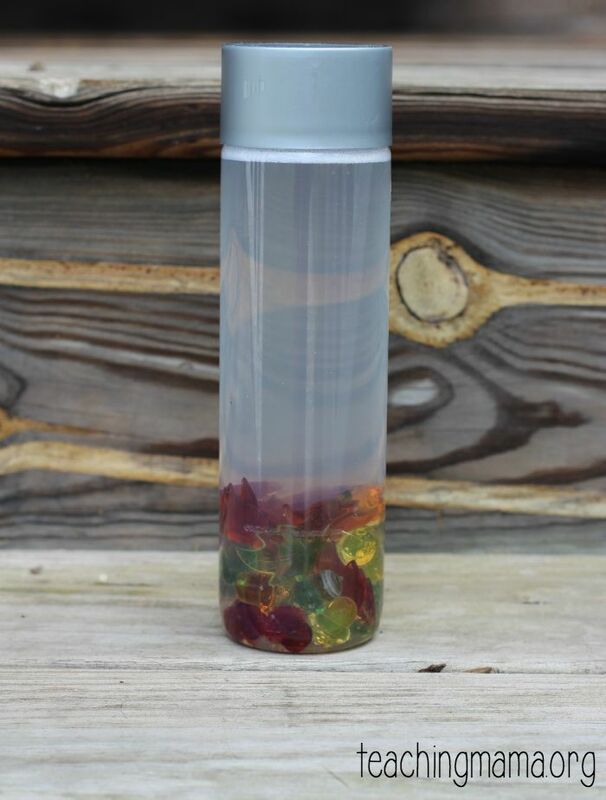 To make the bottle, fill it half-way with clear dish soap. Then fill it almost to the top with water. Put in the acrylic leaves and acorns. 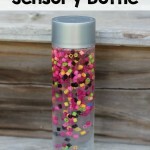 Then seal the bottle shut with a hot glue gun. 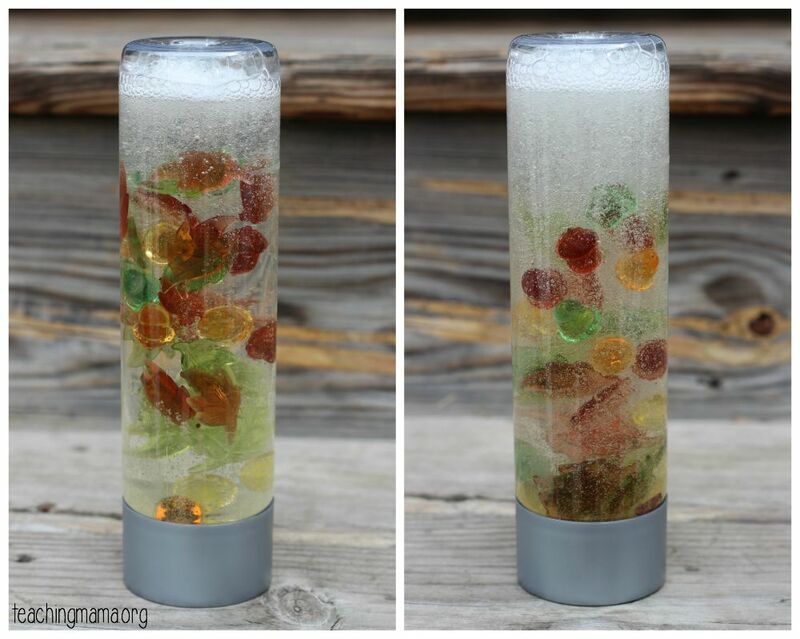 I used the clear dish soap because it helps slow the leaves and acorns down when you turn the bottle. If you use too much dish soap, they will fall way too slowly, so that’s why it’s only half-way filled with soap. 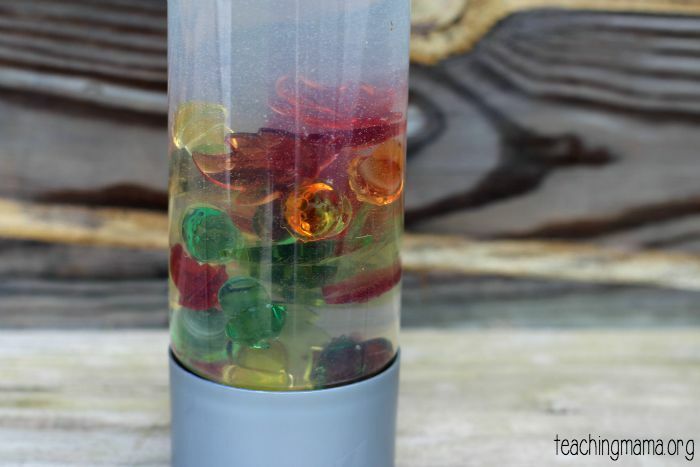 You can experiment and add more or less to see what happens. 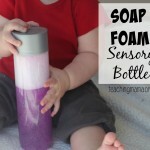 It may have bubbles in the bottle (since it’s soap! ), but after you let it sit, the bubbles will subside. 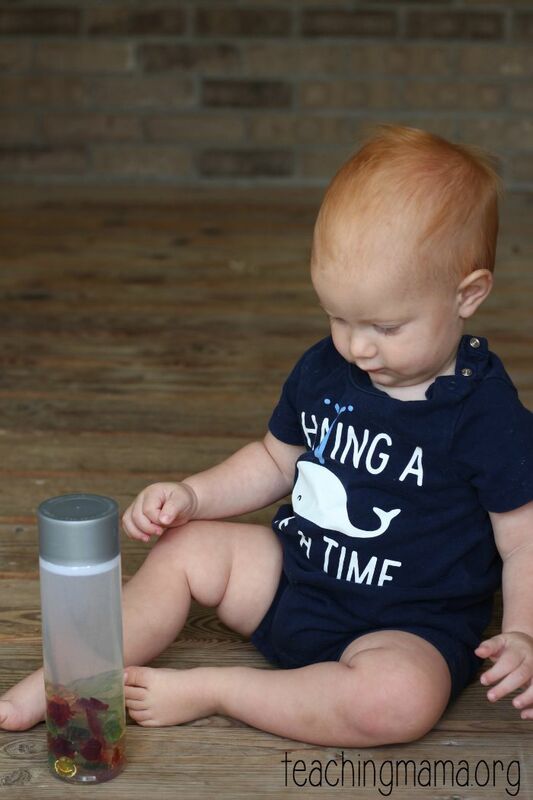 After the bottle is made, then let your little one play with it! 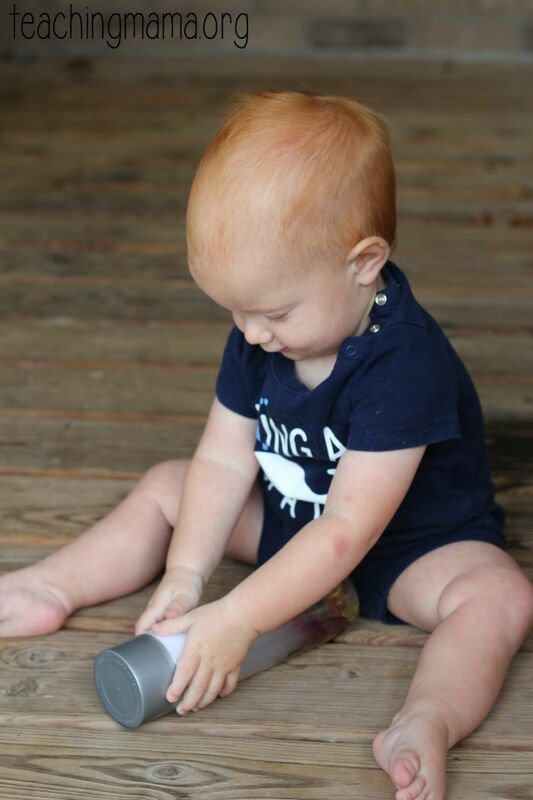 My baby had fun discovering the bottle. 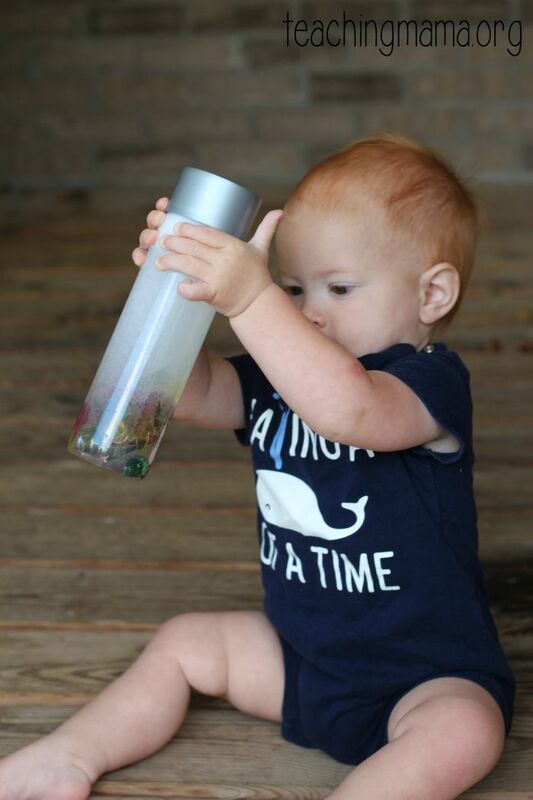 He loved shaking the bottle! Rolling the bottle was fun, too! 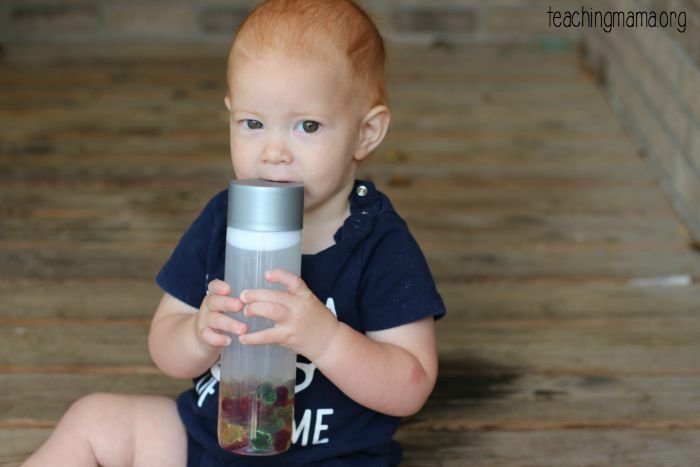 And of course, chewing on the lid! It was fun for him to play with. In fact, we were in the car yesterday and I had the bottle in there with us. He was crying and I gave it to him. It calmed him down and he actually enjoyed shaking it and looking at the leaves and acorns falling. 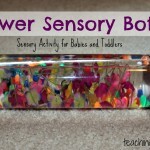 Congratulations on completing a year of sensory bottles – not an easy task! Love this one! 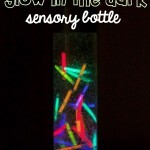 And congrats on doing a year of sensory bottles, how fun!